We recently purchased a parcel of amber from the new find at Alem Ketema in Ethiopia. 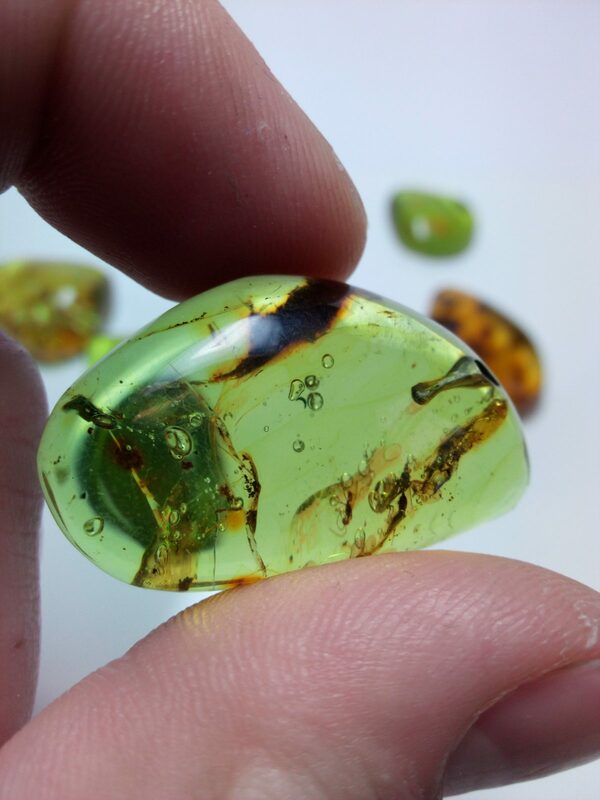 Until now the trade and gemmologists have taken the position that any green amber is treated, either by heating in an autoclave or by painting the underside black. This new material from Ethiopia proves this position wrong. The amber comes in a variety of colours from golden yellow though brown, reddish, to a strong green. The find is dated at approximately 95 million years old from the Cretaceous period. A variety of insects are found in the material including ants which are proving interesting to paleo-entomologists. The material is stable and takes a good polish and much is of good clarity. We expect more of this material to come onto the market.